A glance at the calendar just revealed that Audrey starts kindergarten in a mere 6.5 weeks, which marks the officially end of summer and a whole new set of milestones. Granted given that I work full time and the girls are in summer camp, we don’t have a traditional summer like the one I experienced as a kid, with three months of “freedom” and lolling and occasional boredom...but we try to make it feel special nonetheless. There’ve been lots of impromptu weekend trips, staying up a bit later on weeknights for extra books or an evening swim in the kiddie pool, sleepovers at their grandparent’s house, lots of ice cream and now projects. The diorama/dollhouse is at the top of the project list, but I’d also like make some Marni-esque necklaces out of fabric, silk cord and wooden beads with Audrey. 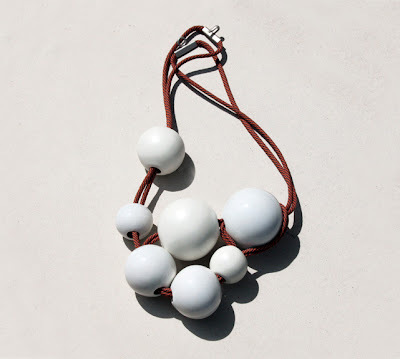 I think these would be simple to create and I’m totally digging a chunky fun necklace for the summer. As I want to turn Millie's room into a joint sleep space for the girls, we had originally planned to build a bunk bed/sleep structure... But I’m rethinking things given the potential serious injury, as my girls are drawn to any sort of contraption that involves stairs or height like circus stars to a tightrope. So now I'm leaning toward a daybed + trundle on that back wall or a full size four poster set up like a day bed. But regardless of what we do with the bed, I definitely want to copy these brilliant globe, tissue pom pom mash ups to hang over the sleeping area. I’m completely in love with all manner of hanging festive doo dads from the ceiling in a kiddo’s room, so I’m fully digging this. (Ashley Ann has a good tutorial on how she pulled hers together.) I’d also take down the decals and hang wallpaper behind the bed. I’ll definitely share progress as I start working in earnest -- my goal is to have the room totally transformed by her Millie's third birthday in December. So, do you have any summer projects planned? martha stewart (of course) has a fabulous tutorial of these lanterns on her website! i'm diggin them too! and you've totally made me miss my daybed as a kid. space efficient anddd chic! Oh, I can't wait to see the finished product. Beautiful images! 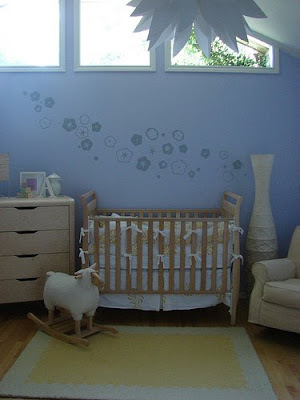 We're having a baby in oktober, so our summer project is to decorate the room. Thanks for the lovely inspiration. 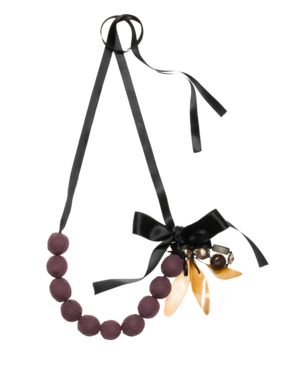 The necklaces look like a fantastic idea to do with girls. Plus, it might stir interest in making her own jewelry if she doesn't have the interest yet. I'm leaving for LA in a few weeks and wanted to make a collage of photos for friend who hasn't had the best time in his two years in Chicago. But there have been good times, and I want him to remember that. I thought the collage might be much and well... he's a guy and I don't think he'll hang it up. So I'm thinking a scroll of photos he can look through (and hide from all his other guy-friends). i am really digging the necklaces!! you have to post your completed projects. gardening/landscape the front yard with the little girl, Lexie from across the street. she's 7 and loves to help me. re-upholstering my dining room chairs, she is also helping on this project too. you are one talented super mom! All of these are gorgeous! I can't wait to see what you do with the bedroom for the girls. I'm sure it will be super fabulous. I don't have a ton of summer projects going on. Swimming (in the baby pool) and eating popsicles. I will be doing crafting for the nature table swap I signed up for. Other then that, no plans yet. These necklaces are great! I love the ribbon tie. Christine -- what about a cool blurb coffee table book? Love the first necklace so much that I might have to get it! And the colored tissue globes above the girls beds...awesome idea! Are you the coolest mom, ever or what?!?! 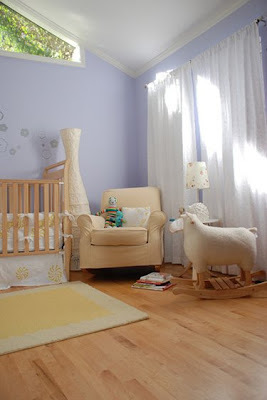 as designing the nursery caused renovations thorough out the house... i'm still on the nursery. 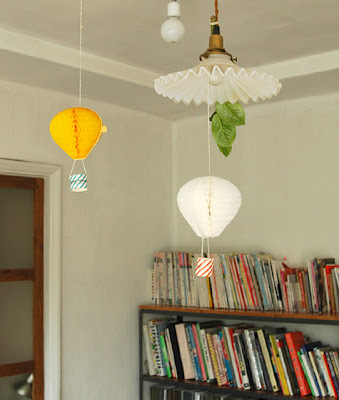 i'm loving ashley's hanging lanterns too and think i will attempt a similar project. best get going - only 4 weeks left! 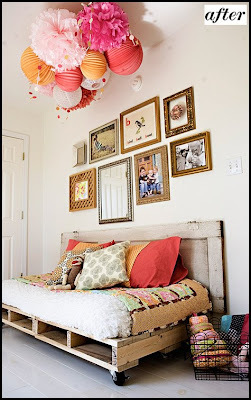 I'm looking forward to seeing the bedroom transformation as I am trying to put two kids in one tiny room. The dollhouse project sounds great. I furnished and decorated my sister-in-law's childhood dollhouse for my niece some years ago. You can get totally lost (in a good way) in dollhousing (let's make it a verb, why not?). There are some great books showing how you can make furniture out of household items, like wire cafe chairs out of champagne corks! We have four (!) parties planned in the upcoming weeks, so I've been seeking out simple and inexpensive ways to decorate. 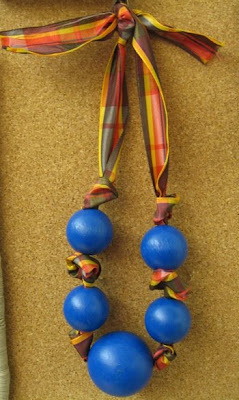 I love the pompom and globe look too, and plan on creating one that will possibly hang there all summer. I also plan on making some garland and banners for the walls and balcony rails. LOVE, love the hanging doo dads from the ceiling. So festive + cheery. No big summer plans on our end ... just enjoying each day with fun activities! I actually have several extra orange, hot pink, light pink and yellow pom-poms left over from my birthday party - let me know if you'd like them! My e-mail is weingartnerc@hotmail.com if you're interested. bunnytap -- i'd love them!! sounds really wonderful and fun!! her room is currently adorable. we just need to find a bed!! can't decide if I want to go with a platform bed or a bed found at an antique store or flea...that takes time though. fun to think about but I am tiring of the ol floor. The necklaces are so cute! 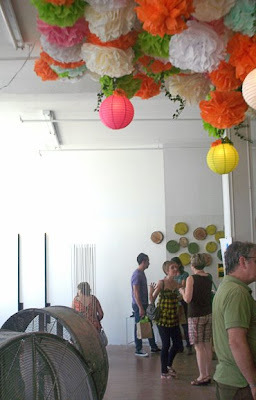 And I love the lanterns and pompoms in that last pic. I think that may have to be my summer project! 2 things...love the jewelry and the after! thank you for sharing. ps - now i need to figure this out for myself! I want the after for festive doo dads for my ceiling in my 2nd bedroom! We love to dangle things from ceilings in this house too, and, turns out, i spent many hours making those paper flowers for a junior high dance back in the day. hmmmmm.... we'll see you soon. I can;t wait to see all the projects! kindergarten, yikes. I am about to have have a heart attack over preschool. Love the beautiful necklaces! My son is 26 months old and quickly outgrowing his crib, too *sniff*. We're still trying to figure out what to do! LOVE the doodads hanging from the ceiling. LOVE IT. Fabulous! Our boys share a room (they will not sleep apart - awww), and we recently hung a fishing net in one corner on the ceiling. We toss stuffed animals up there. So cute! A friend of mine had this in her room when I was little, and I always wanted one. I love that the last *light fixture* was made from walmart items. it is so lovely! love that last home photo. and inspired to make a summer project list myself!